Introduced in our Cruise 2019 presentation, this hold-all coat is crafted from felted double wool and features a removable knitted hood. 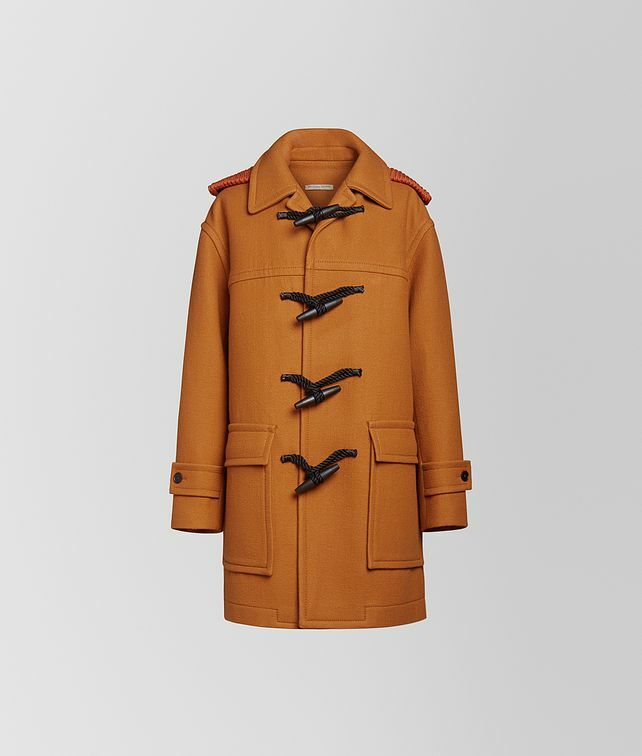 Equal parts sporty and luxe, the coat is made in an oversize silhouette with drop shoulders and large patch pockets. It is finished with rope fasteners and wooden toggles that are hand-painted and engraved with the intrecciato motif on the ends.